This November in Riyadh, colder than ever, turned out be hot in the political sense and provided Saudi Arabia the front-page spaces of the world mass-media outlets. To be more precise, it was secured by the Crown Prince of Saudi Arabia, Mohhamad Bin Salman Al Saud, who, throughout the whole month, was pursuing extremely active foreign and domestic policies. 4th November became another landmark day. On this day, the Houthis launched a ballistic missile aimed at Riyadh Airport, and the Prime-Minister of Lebanon, Saad Hariri, being in the capital of the ‘Saudi state’, resigned. At the same time, 11 princes, 38 high officials and an array of other people ‘burdened’ with massive fortunes (208 people in total) were arrested in the same city on the corruption allegation and locked up in the ‘gilded cell’ of the Ritz-Carlton, Riyadh luxury hotel, where they are still now. These versatile events created a certain amalgam, which overshadowed the essence of what is happening and made the whole world be excited, suspecting that something is wrong in the Kingdom of Saudi Arabia. The oil prices began to creep up, and many Western companies decided to take precautions and started hedging to reduce the risks and withdraw their capital from Saudi Arabia’s jurisdiction. The initial opinion of the analysts of the world mass media was that the internal political struggle in the kingdom was increasing, its internal and external position gives the signs of indecision and disorder, and it is unknown where the young prince is ‘at venture’, who is allegedly immature, hot-tempered, ambitious and makes one political mistake after another. However, a more careful consideration of various aspects of the internal political, social and economic life of the country helps revealing other vectors. What this means is that the young prince by launching an anti-corruption campaign got a great many of high-ranking officials, including members of the royal family, caught in the crossfire. It goes without saying that those are right who assume that these arrests reflect the political in-fighting, whilst those who found themselves in the ‘Ritz-Carlton’, unable to prove their political reliability. They were up to no good with regards to the young prince and intended to rest upon the ‘soaking princes’, such as Muqrin bin Abdulaziz or Muhammad bin Nayef, to restore the lost power and positions. There are plenty of such versions on the vast Arab segments of Internet. However, even if the authors of theses versions, also stating that the conspirators were grassed to Mohhamad bin Salman by Donald Trump and CIA, are right, then, as of late November, one must admit that the young prince practically won the battle for the crown by arresting these people, and nowadays Saudi Arabia became much more stable than it was back in October. Why might this statement be considered as reasonable? There are several reasons for this. First, for nearly three years, since January 2015, when his father acceded to the throne, also known in Saudi Arabia as MBS, conducted a whole series of large-scale shaking-up of the whole state machine of the country brilliantly and very professionally and unhorsed his main rivals. Whereby it was conducted quite competently (one could feel the powerful guiding hand of his father, who was acting throughout his life, as a ‘moderator’ in the royal family, as the most modern term suggests. First, the weakest, however the most dangerous link was eliminated, from the point of view of the former laws of succession to the throne – the office of the successor of the Crown Prince was vacated by the youngest son of the kingdom’s founder King Abdulazis al-Saud – Muqrin. By not being an authoritarian person, but rather a bon vivant, he was satisfied with the ‘compensation’ that was offered to him by Sudairi Clan – Muqrin also refers to this. The post was passed to MBS, then a series of shaking-up measures in the state machine followed, where the young prince appointed his loyal people, mainly technocrat-businessmen, having no relation to the royal family and obliged by their elevation not due to the royal lineage or ‘royal blood’ flowing, but rather to the benevolence of the young prince. In the royal chancellery, a ‘smaller cabinet’ was created that consisted of the specially entrusted person to Mohammad. Further on, in the autumn of 2015, the company ‘Saudi Aramco’ went under the control of the young prince; this company brings the main revenues to the kingdom (90%). The half-brother of Mohammad – Abdelaziz was not allowed to take the helm – he was instead always holding the key positions in the Ministry of Energy, Industry and Mineral Resources. Secondly, by moving aside Prince Muqrin, Mohammad with the direct support of his father, started the attack on the the-then Crown Prince Muhhamad bin Nayef. It did not bring any results for a long time, the prince was not interested in the settlement compensation, evaded the plain talk and was clearly playing for time. His ambition would be to wait for the victory of Hillary Clinton and her team in the election of November 2016 in the USA, who gave him then (then on the behalf of the very same ‘democrat’, as she is, Barack Obama) assurances of the rise to power after death of King Abdullah. These assurances were being provided during the visit of Muhhamad bin Nayef to Washington in December 2014, several weeks prior to the death of the then monarch. However, the fate decreed in a different way: Donald Trump won the elections, who went to Riyadh on his first foreign trip, where he quickly found common ground with the young prince. And the latter, getting the picture of the changing trend, immediately encouraged the tune of the newly-elected American president to revive the American industry, by having signed quite a few military contracts for the amount exceeding 100 billion dollars. MBS established friendly contacts with Jared Kushner, who had visited the KSA three times before. It is unknown what charms, apart from the military contracts, were used by MBS (one can only guess), however soon it became clear that the young prince looks for the team of D. Trump preferable as a partner than connected with the American ‘Deep State’ Muhhamad bin Nayef. As a result, having formed the alliance, with the support of his father, with the other members of Sudairi Clan, MBS, by persuasion and menace achieved that Muhhamad bin Nayef resigned this June the post of the Crown Prince, by passing this post on to the prince Muhhamad. Thirdly, by smashing his political opponents stage by stage and then separately, the young prince easily eliminated, in essence, the last obstacle on the path to throne – the solid Fronde of the chief of the Saudi Arabian National Guard, son of the former King Abdallah, Prince Mutaib. It should be noted that the National Guard was created by King Abdallah as his personal Praetorian Guard, which ensured his rise to power in 2005. The tribes supporting it and being its part were transferred to Abdallah and his son Prince Mutaib, who was the only one brave enough to keep the portrait of his father in his official residence after his death. However, as before, by swift and calculated actions, MBS could remove Mutaib from his post promptly and neutralise the sheiks of the tribes that were supporting him. Here he rested upon the whole Sudairi Clan after the resignations of Muqrin and Muhhamad bin Nayef, who never liked Abdullah – ‘the wanna-be’, in their opinion, from the tribe of Shammar (his mother originated from there). Considering this, even if the November plot of the now arrested princes and other persons took place, it was not particularly dangerous for Mohhamad bin Salman. And having revealed the plans and playing the game of the ‘fight against corruption’, he, as it appears, won twice, if not three times. First, the remnants of the opposition have been arrested and are in his hands. Secondly, they all look like miserable corruptionists, thinking only about their own pockets and opposing the progressive reforms of the prince. Thirdly, he has already made 100 billion dollars out of them, practically having covered the deficit of the Saudi Arabia budget for this year and he is sure to make more out of them. 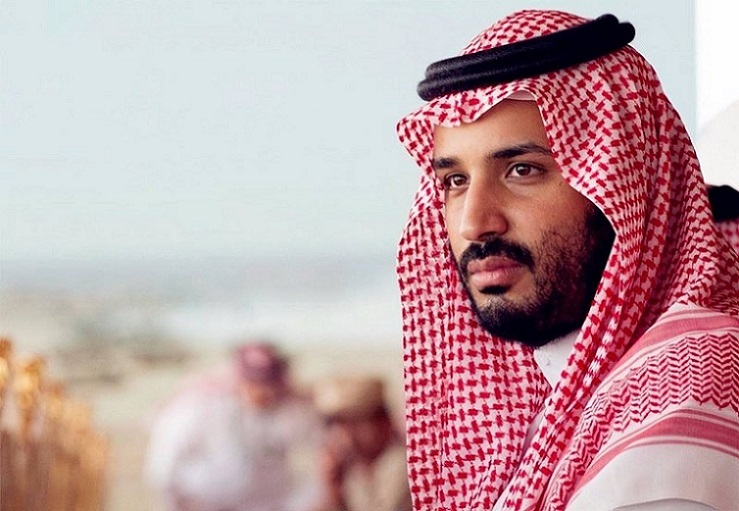 At the earliest, the assets of the arrested persons will be transferred under the control of the state, that is under his personal control, together with the positions, which these people occupied in the Board of Directors of the largest financial institutions of the West, which makes MBS an independent and a strong player in the world finances. Now, even if someone wanted to ‘bear’ and not to allow the planned IPO of ‘Saudi Aramco’ for 2018 in the amount of 200 billion dollars (where the attempts to put the market-appraisal of the company too low have been made recently), he will hardly succeed in this now. Thus, the question of the succession to throne of the powerful enough in the political and financial respect, Mohhamad Bin Salman now became only formal. Only he and his father are now choosing the right moment for this occasion. There are all good reasons to believe that this event will take place soon, possibly, before the end of this year. Maksim Egorov, a political observer for the Middle East, exclusively for the online magazine “New Eastern Outlook”.